One of the best ways to help your child do well at school is by helping them to enjoy reading – whether they like newspapers, magazines, novels or comics, children who enjoy reading tend to do better at school, and it is parents who play the most important role in developing their child’s love of reading. Studies have also shown that parents who talk to their children about books, television programs and films help to keep their children interested in reading. Many parents who spend time reading with their children at primary school level do not know how to support reading once their child reaches Key Stage 3 and Key Stage 4. Just because a child is too old for bedtime however, doesn’t mean that you cannot help them with reading. In GCSE English and English Literature your child will be studying at least two Shakespeare plays between the ages of 11 and 16. Your child’s teacher will be working with the class to study Shakespeare but there are still many opportunities for you to help your child at home. If your child is studying a particular book or play at school you should take the time to read it too. For instance, if your child is studying scenes from a Shakespeare play, then reading together, talking about the language and discussing the characters and events would be very beneficial to your child. Help them to learn quotations and even do it together as a competition. If there are opportunities to watch the play being performed then it can be very helpful in learning the play. If there are no good productions being performed borrow the DVD of the Shakespeare play from video rental shop or library and watch it together. Discussing the story as a modern tale can help your child realise that Shakespeare is not really as far fetched as it sometimes seems. Explore the play's social, cultural and historical contexts. You may be able to find relevant information on the internet or in history books. There are many good introductions to Shakespeare’s plays in English textbooks. Explore the language together – discuss meanings of images and what actual words mean. Read aloud some of the play together. You could read aloud alternate lines from a scene. 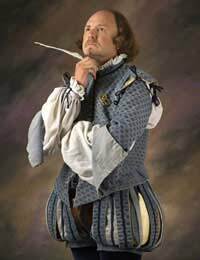 On the Internet there are many relevant Shakespeare learning resources including on-line quizzes, which your child can use to help test their understanding of character relationships and lineage in particular plays. Quizzes are excellent tools for reinforcement. When it comes to learning Shakespeare you may have to spend a little time brushing up before you help your child. The apparent ‘complexity’ of Shakespeare should not put you off, instead, if you are not familiar with the material, then a set of spare textbooks might be useful. It is worth reading over the material yourself and keeping up with what your child is doing in school before trying to help them at home. Review your child’s class notes and even meeting up with your child’s English teacher to discuss ways to help your child with reading can be beneficial.